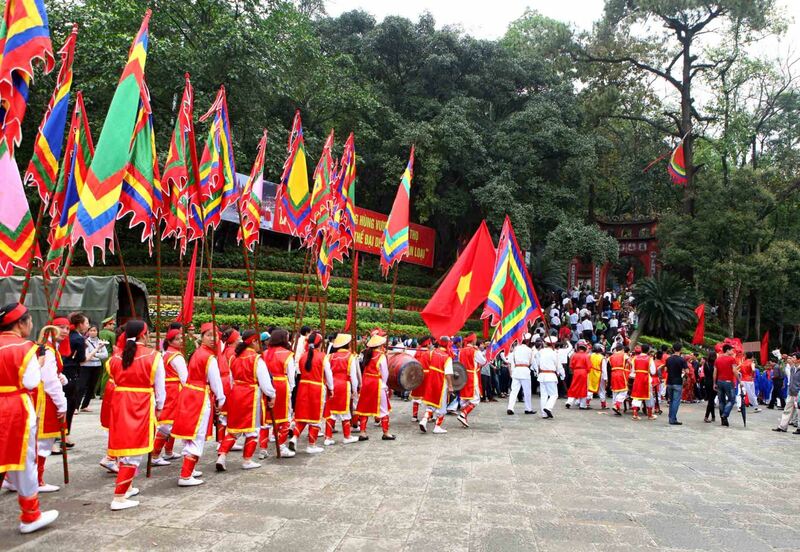 Paying tribute to ancestors and historic heroes has always been a deep-rooted tradition of Vietnamese people. Hung Kings Festival stands among the most important national festivals as it honors the country’s legendary founding fathers. The main festive is on the 10th of the lunar March (April 15th this year), and it has become a national holiday since 2007. On this occasion, Vietnamese people often celebrate at home or visit the Hung Kings’ Temple for a special festival in Phu Tho province. At the gate, people start bringing offerings to the temples. Back in 2879 BC, the very first Vietnamese nation was founded by Hung King, named Van Lang, and reigned by 18 Hung King generations until 258 BC. The legend has it that the first king was the eldest son of Lac Long Quan and Au Co, the God parents of Vietnamese, who gave birth to 100 children in a fetus. This represents the unity and solidarity of our whole country. The 100 children split up into two groups of 50 to follow their mother on the mountains and father in the sea, with the biggest son became the king of the land. And the citadel was situated on Nghia Linh mountain with a lot of areas, which were then divided into 4 different major temples: Low Temple, Medium Temple, High Temple, Well Temper with different meanings and functions. Vietnamese people are doing some rituals, right from the gate of the temples. Every year, the festival is started 5-7 days before the main festive, with the increasing number of pilgrims that may peak at more than 2 million people on the main day and the day before. Hung King’s Festival offer a wide range of activities, categorized into two core types: “play” and “pray”. In the “pray” section, Vietnamese people visit the temples, pay tribute to the kings by giving offerings and burning joss sticks, and pray for the good to come. 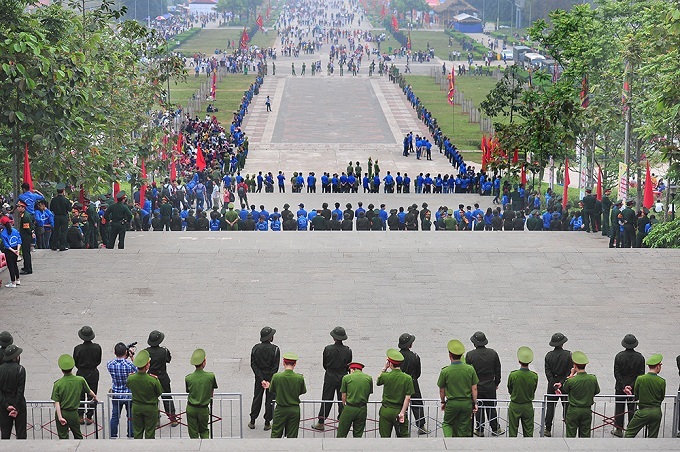 On exactly March 10th (Lunar year), the Prime Minister and other senior officials of the Vietnam’s government would show up very early in the morning to do the rituals. While the “pray” is symbolic of sacred beliefs and concepts of the people, the “play” demonstrates their colorful, diversified and dynamic lifestyles and cultures. At the foot of the mountain, series of traditional activities are organized to bring about positive energies, unforgettable memories and lively experiences to visitors coming from all over the country. The festival has witnessed the sparkling eyes of kids when they see colorful toys, the excitement of young people when taking part in traditional thrilling games, the happiness of mothers when traditional cuisines are offered, etc. Besides those unique activities, what leaves amazing footprints in each person’s heart is also the breath-taking view from the top of the mountain, or the natural fresh feeling when walking inside the forest over 500 stairs to reach the peak. In addition, for Vietnamese people, together heading for one shared goal also resonates with the national spirit – solidarity, cherishing, and gratitude. The annual commemoration has become such an important part of many people as a spiritual source of energy that even 80-year-olds are still excited about climbing the stairs leading to indispensable part of their beliefs. 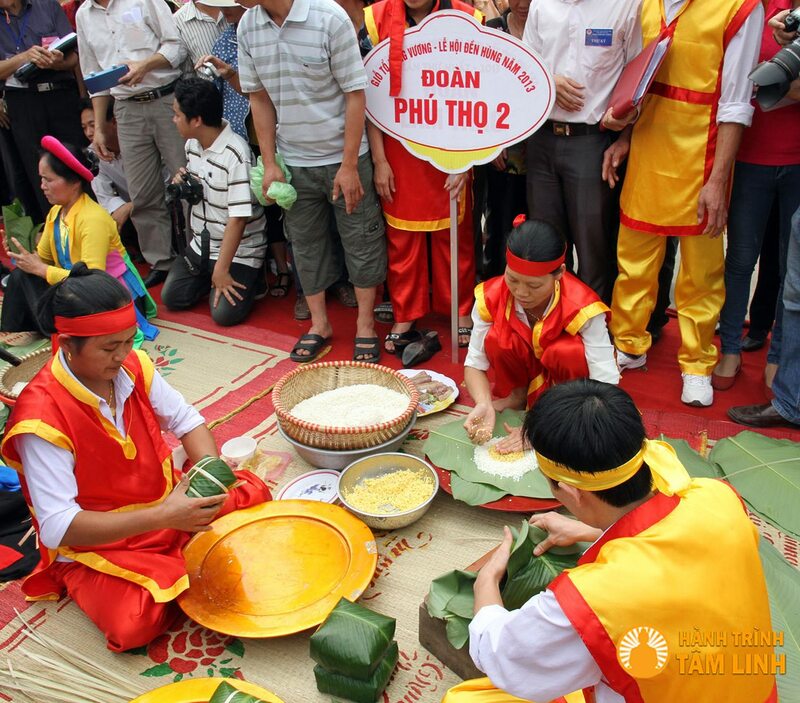 A sticky rice cake competition in the festivals. This year, Hung Kings festival takes place on April 15th, drawing nearly 5 million visitors to flood in. In some previous years, visitors came to the temple in droves, causing chaos in the neighborhood, so security has tightened. The organizers of the Hung Kings’ Temple Festival said that over 1,000 police and uniformed officers, together with 2,750 student volunteers, had been mobilized to guarantee order and safety for the festival goers. The police were responsible for maintaining security while the volunteers assisted them in regulating traffic and keeping the areas around the temple clean, said Ha Ke San, deputy chairman of the People’s Committee in Phu Tho Province. Five layers of security were established to control the flow of visitors, with police officers standing guard at the entrances to the temple. Security system tightened this year, with 5 layers of security. Thanks to the strengthened security system and the wonderful weather, visitors felt more satisfied and fulfilled, bringing back home memories to keep and stories to tell after the festival. In addition to Hung Kings’ Temple Festival, Vietnam is well-known for numerous traditional events such as festivals, carnivals, celebrations,… etc. When you are doing internship in Vietnam, there would be no short of special holiday where you can enjoy a day off and immerse in the cultural atmosphere, don’t be shy, make plans with a local (your colleagues, local buddy, or host family would be happy to accompany you) to to enjoy the holidays or maybe go on an adventure on your own to the Hung King’s Temple in Phu Tho or similar places! If you decide to go on your own, beware that there are certain rules of dressing and praying to pay attention to, on top of that, since a very big number of people participate in the festival every year, there surely will be traffic jam around the areas and massive crowds inside the Temple. If you are considering doing an internship in Vietnam, think about those fantastic cultural meaningful experiences you will have! 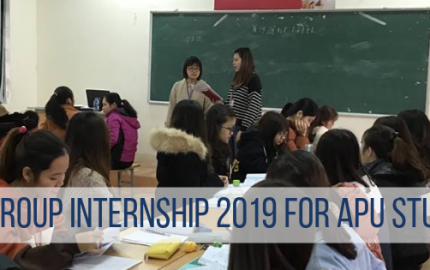 Doing internship in Vietnam with Abroader (Student Exchange Vietnam), we guarantee fully-serviced internship programs, especially with program coordinators, and a system of local buddies and host families. All of us are always by your side to support you 24/7. 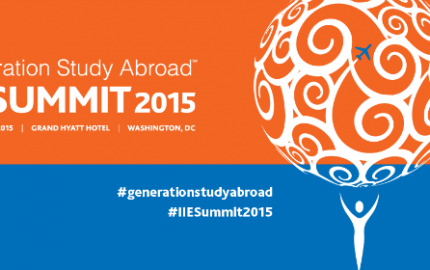 Follow us on Facebook or click here to learn more about internship opportunities in Vietnam. 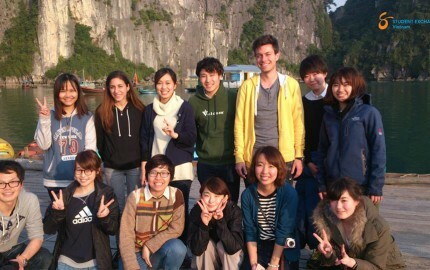 Visit our Reviews page for more wonderful stories of other students sharing about their experiences in Vietnam!